How do I put this politely? This is not a happy record. I can’t say what Jeff Tweedy was going through when he wrote this album, all I can say is that it turned into some of the best music of the ’90s. This album cemented Wilco’s place as the kings of Americana. The album might not be happy, but it surely is bold and strong. It’s arguably Wilco’s best. The melodies are fantastic, Tweedy’s lyrics are in top-form, even if a bit worrisome, and the band is solid. The songs don’t stick to a singular style, but there’s a cohesion that runs throughout the record. They’ve abandoned the ultra-country sound of Being There and AM. 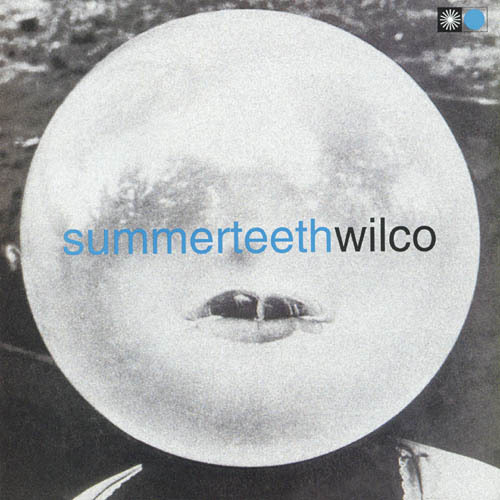 Their followup Yankee Hotel Foxtrot won’t follow this style of pop-rock, so Summerteeth lives a life unlike any other Wilco album. Summerteeth is always a good record to put on. “She’s A Jar,” “I’m Always In Love,” and “Via Chicago” are amongst the best on the album. The album is pretty solid through and through. “ELT” is probably one of the few songs that I feel just don’t work on the record. We should talk about the elephant in the room, domestic violence. I don’t think I’m reading the wrong thing into this album. Tweedy, this isn’t really cool. Of course you’re allowed to write about whatever you please, it is your art, but jeezy creezy, this stuff is creepy. If you wish to donate to the White Ribbon Campaign, click here. For more information, click here.